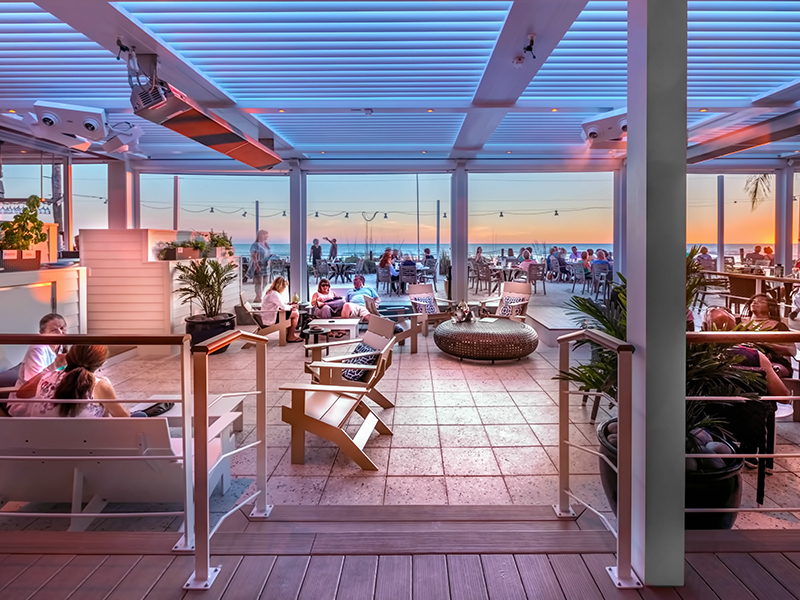 What Can A Luxury Outdoor Structure Do For Your Business Or Lifestyle? 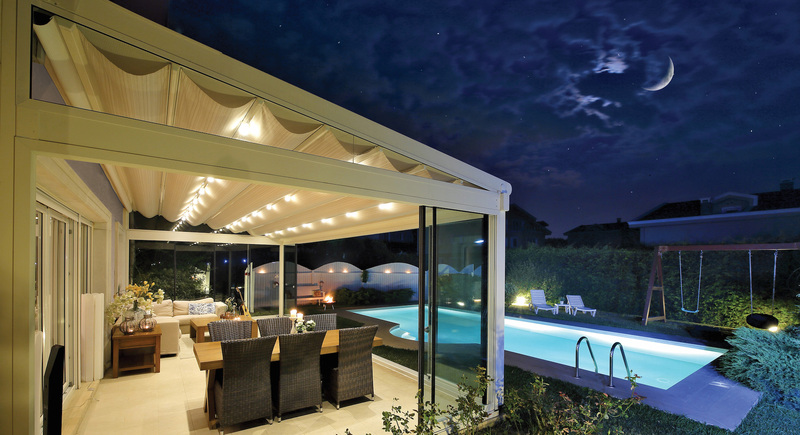 Majestic Awnings is at the forefront of versatile all-use luxury outdoor structures. 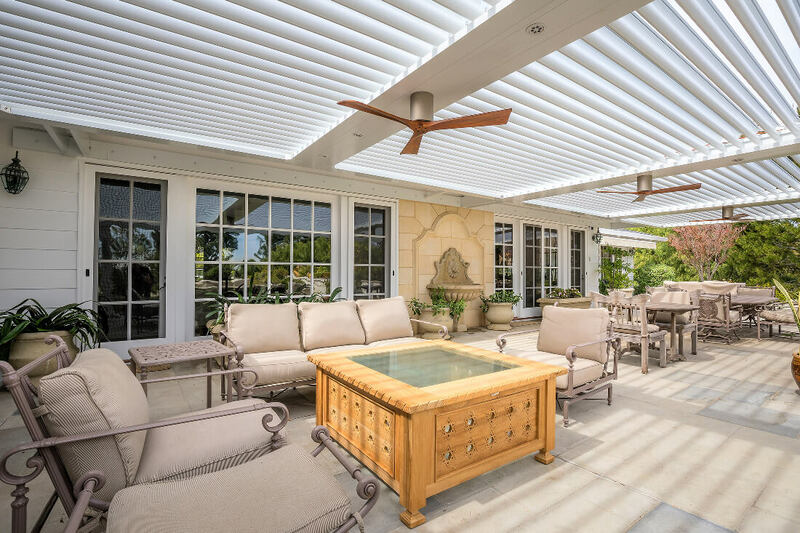 Our luxury louvered structures can be outfitted with heating elements, electricity, motorized shades and more. 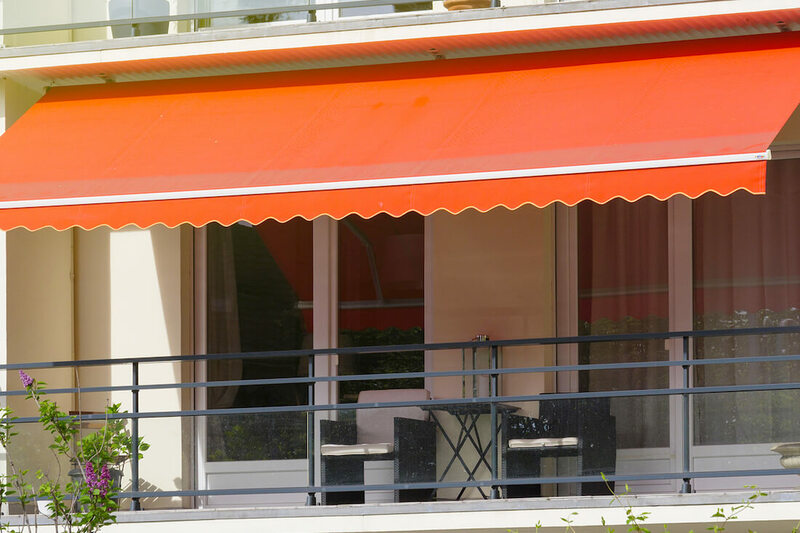 Bring the indoors out with Majestic Awning. 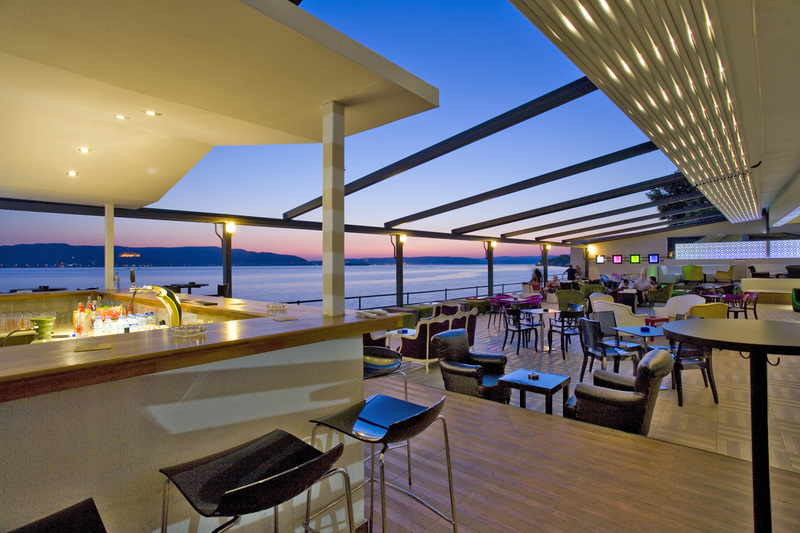 Majestic gives you the perfect solution for controlling the effects of weather in your outdoor space. 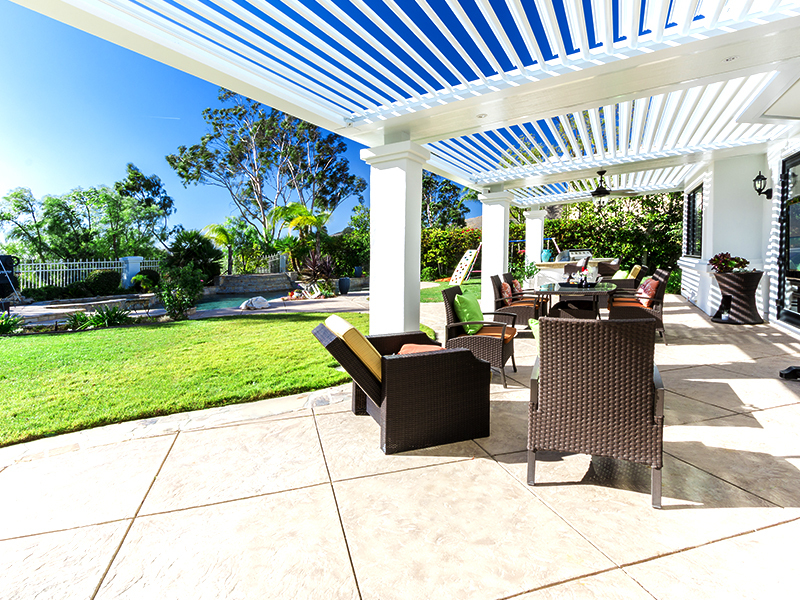 We call it the world’s smartest pergola. 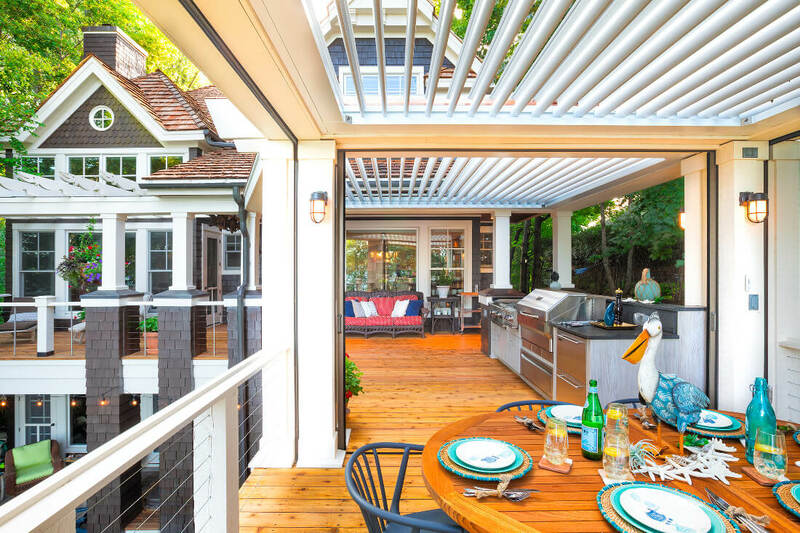 Our luxury louvered structures a great alternative to the typical awning for the home or business that years for a distinctive and unique outdoor experience. 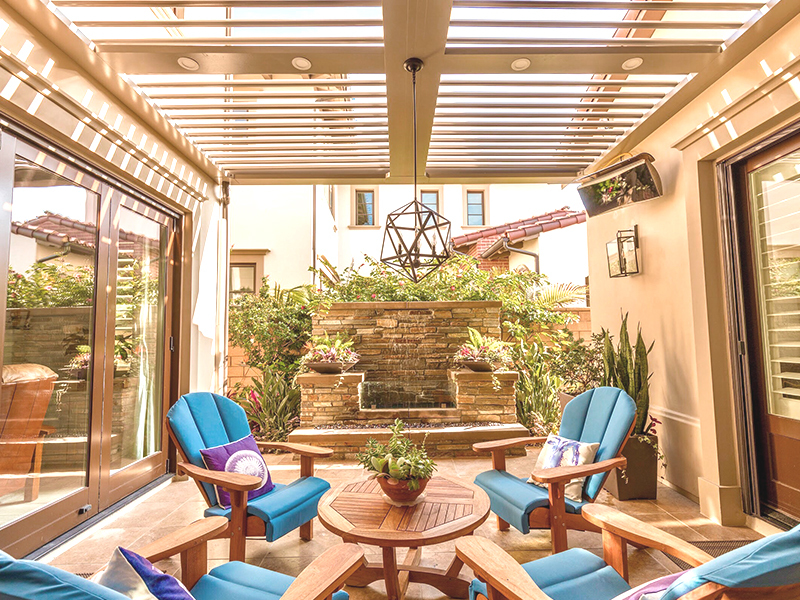 You'll kiss rain dates goodbye with water-tight louvers that shield you from the rain, and with comfort accessories like heating elements and motorized screens. Your guest can mix and mingle in comfort and style, staying dry and warm all year round. 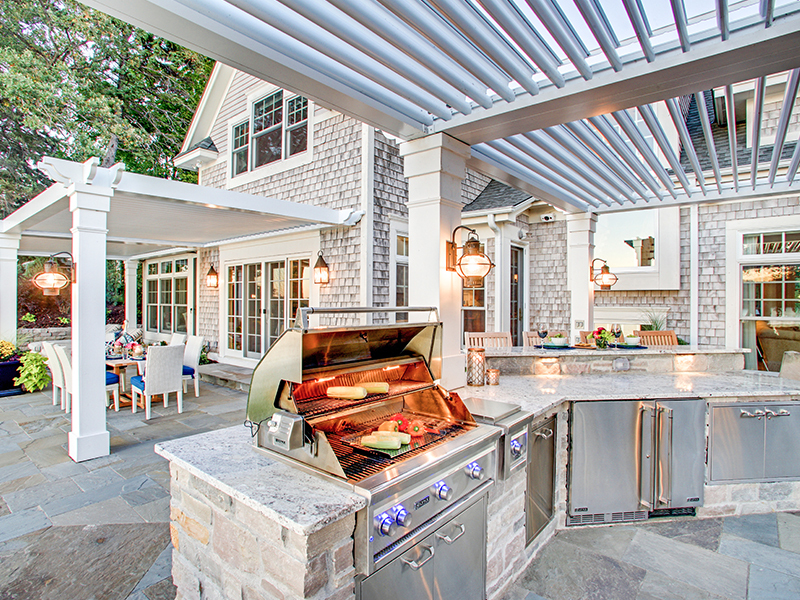 Let your imagination wonder with all the new possibilities for your outdoor space. Want shade, no problem? Want to get some sun, we've got you un-covered...all at the click of a button! 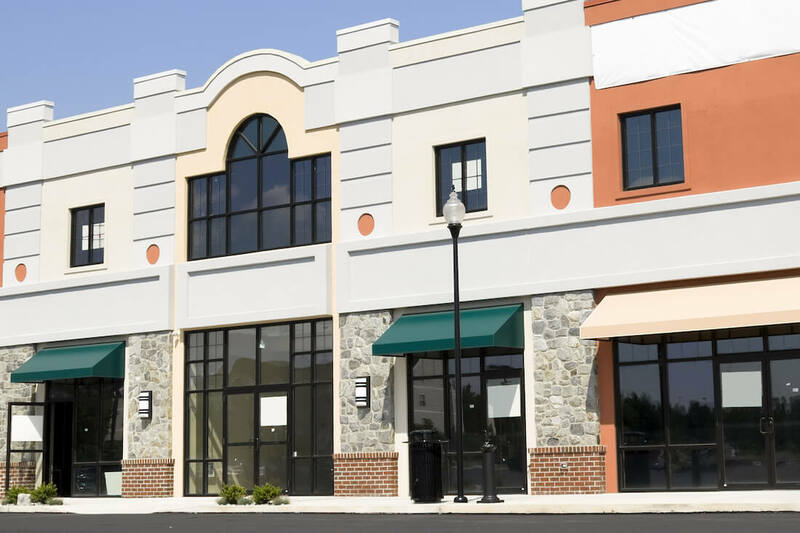 Your guests and members will truly be amazed at the experience you are bringing them. 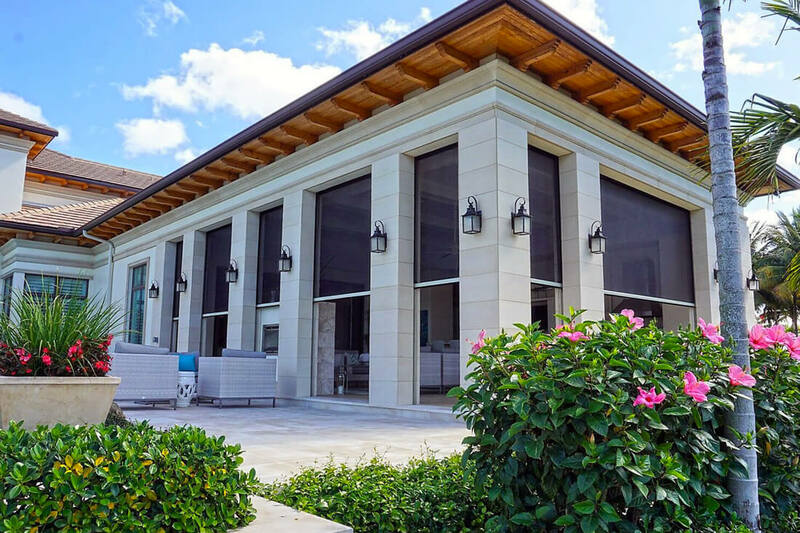 Majestic Awning luxury louvered structures are the perfect addition to restaurant outdoor seating areas, golf clubs and country clubs.